The National Secondary Schools Co-Ed Champions of 2015, St Andrew’s College 1st XV. Mr Rod McIntosh is back row, far right. 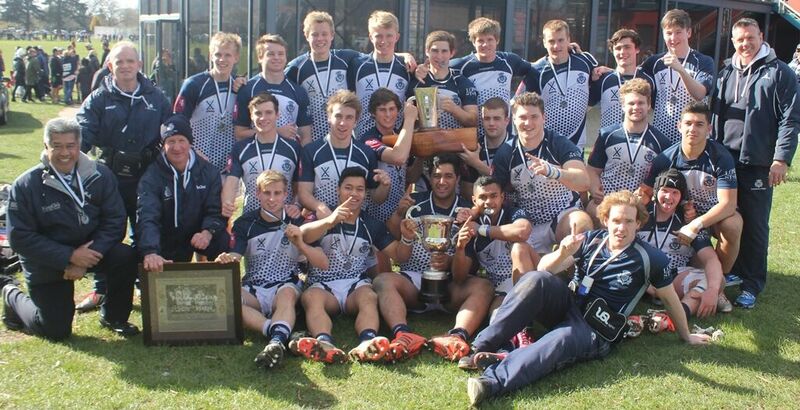 The 1st XV rugby team from St Andrew’s College has enjoyed a record year in 2015, being crowned the National Secondary Schools Co-Ed Champions, winning the coveted Moascar Cup (only the 3rd South Island team to do so in the 100 years history of the cup), placing 4th in the local University of Canterbury Cup competition and beaten finalists in the Canterbury 7-a-side tournament. Consequently, all games are recorded and then an agreed on policy plays out each weekend: the game must be uploaded to Advantage4Me and coded by Sunday lunchtime. The players must then have watched the clips and be prepared to review the game at a shared Monday lunchtime in the Sports Pavilion. To speed this process up, the team has an intern with the Crusaders help out. He is studying at the University of Canterbury doing the four year Bachelor of Sports Coaching (BSpC) specialising in coaching technique analysis. For an experienced intern, who attends practices and understands the high level game strategies it will take between 1-2hours to code a game. The video analysis has been a really robust improvement in the team’s learning environment – players are now using a different vocabulary when describing their play and the game. They are using the language of the team’s offensive and defensive structures learnt from the video clips. A typical Brain Gym session would involve a minimum of three video clips that would be a mixture of things the team did well along with some work ons for the week of training. To further reinforce this, the team’s coaches can select specific clips from games or technique videos from YouTube and other video sources, and send those directly to players who can watch them individually and comment on the clip within the software. The coaching and management staff can check analytics to see how regularly players are logging in to review footage as well. Like anything it is time consuming, but I wanted to unload my coaches through using technology and, like anything, if it is not really efficient and if the time you’re putting into it versus what you’re getting out of it doesn’t equate then it’s not beneficial. It’s just like in a class. If I deliver a single message to 22 players then the level of processing and recall can be varied. If I’ve got some key decision makers, I call them the “spine players” such as your #9 and #10 and typically your #8, if we do some real robust 1:1 stuff then their decision making on the field is going to be at a higher level. The best way to do that is to give them the overview of our game plan and then to use video footage to reinforce those concepts. In our conversation, other factors were identified as significant contributors to the success of the team this year, notably a massive pre-season fitness programme. This paid dividends throughout the season as the team won 70% of their games in the second half (judged by either trailing at half time in the score or being only marginally ahead). Critically, Mr McIntosh believes this level of fitness contributed to the almost complete absence of significant injuries to the team during the long season. Additionally, the team did mental skills with the College counsellor Mr John Quinn which introduced classroom based work around performance preparation, goal setting, positive self talk, setting up routines and being organised. Again, this was an holistic approach designed to help the players in all areas of their schooling, not just their rugby. Evidently, fitness, mental preparation and video analysis has been a winning combination for St Andrew’s rugby this season with two players selected into the wider National Secondary Schools training squad and seven players in various Canterbury age group teams. The use of video analysis, already common in the College’s hockey team (which placed second in the 2015 Rankin Cup) is being extended into the high performance netball programme as well. This presents another example of how technology is assisting in improved outcomes at St Andrew’s College, albeit in an environment outside the classroom. 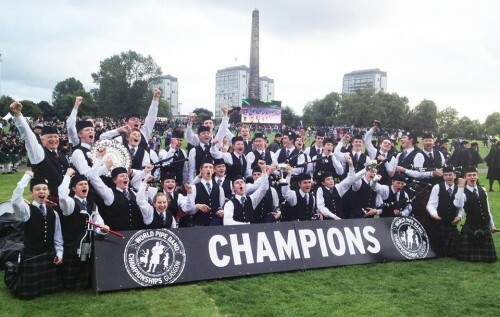 This entry was posted in PE, Technology and tagged 1st XV Rugby, Advantage4Me, advantage4me.co, Brain Gym, Canterbury Crusaders, Information and communication technologies in education, Moascar Cup, New Zealand, Pipe Band, Professional Development, Rod McIntosh, Rugby, Secondary School, Secondary Schools Rugby, St Andrew's College, Student engagement, Technology, University of Canterbury, Video Analysis, YouTube by Sam McNeill. Bookmark the permalink.